Remember when I mentioned a bad run-in I had with a famous product from a prestigious brand? Tonight, I finally figured out exactly what happened, and now I’m ready to talk about it. Let me tell you my tale of woe. A few weeks ago, I was as over the moon as a pregnant celebrity when I received my order of a whopping 100ml of the Su:m37 White Award Bubble Detox Mask that I’d been dying to try ever since I read a rave review of it over on The Wanderlust Project. I didn’t think I’d ever get the chance to try it. A 100ml bottle of that stuff typically goes for $50+. But because I found it in the form of 25 4ml sample sachets, I got it for an insanely cheap price: something like $15, and with free Amazon Prime two-day shipping, too. On that day, I felt like a baller. I couldn’t wait to get some of that tickly bubbly goodness on my face. The Su:m37 White Award Bubble Detox Mask is supposed to purify and brighten skin with fun, tickly bubble action. I like fun, tickly bubble action and I like purifying and brightening my skin, so what did I have to lose? The next morning, I ripped open one of the samples, squeezed out the fragrant gel, and slathered it in a nice even layer all over my face. Here’s where I blundered. I’m pretty sure (now) that 4ml is too much to put on your face at one time. But I figured that it would be easier to apply a whole sample at once than to find a binder clip to seal an open sachet that would then clutter up my bathroom cabinet, so there you go. I didn’t think it would lead to anything bad. No one I talked to about this mask mentioned that it made them look like a cloud was eating their faces. That should have been my first clue that I’d done something…nonstandard. I mean, at the time I thought it was pretty funny. Funny enough to take multiple selfies. According to everyone else who’d used this mask, ever, by about the 15-minute mark, the mask bubbles should have been popping like mad and disappearing from my face. That wasn’t happening with me. Yeah, there was a little tingly popping, but not much. My face still looked like it was being eaten by a cloud. I didn’t think it would be a good idea to leave anything that could bubble up that powerfully on my face for too long, so I proceeded to rinse it off as best I could. And here, I think, is where I made my really critical mistake. I don’t think I rinsed it off well enough. I remember feeling a distinct film on my face that it seemed no amount of splashing or konjac sponge scrubbing could remove. I also didn’t think excessively rinsing or scrubbing my face would be a smart move, so after a while, I threw in the towel, figured I’d done a good enough job, and moved on to the rest of my skincare routine. My skin certainly did look brighter and fresher, so that was good. I forgot about the whole experience for a day or so. And then my skin revolted. A day or two later, I noticed that my cheeks were feeling unusually rough. Like, flaky rough, and very dry–something that has only happened to me once before, when my face clashed with a Missha snail hydrogel mask. Upon close inspection, I discovered that my cheeks had sprouted a dense covering of tiny, tiny little bumps. Too tiny to see without really looking for them, but not tiny enough to feel. Obviously, I was pretty horrified. My sunscreen was pilling up because little flakes of skin were sloughing off when I applied my makeup, and my face just felt awful to the touch. I had no idea what was going on. The dryness, flakiness, and roughness made me think the mask had somehow overexfoliated my skin or damaged my barrier (a reasonable conclusion, since there are plenty of sulfates in the mask–how else do you think it bubbles up so extravagantly?). In addition to upping my ceramide use, I cut out the acids altogether for a few nights with no change, then added my acids back on a very restricted basis for another few nights. A few days after doing that, I started to notice something odd. I was getting many more grits out of my face when I oil cleansed, and all the grits seemed to be coming out of my cheeks. Specifically, out of the bumpy areas on my cheeks. Afterwards, my face felt a bit smoother. So. At that point, I’d ruled out overexfoliation, since exfoliation actually seemed to be helping. The next night, I decided to up the ante and used my new, ultra-gentle (no, seriously, it’s so gentle) Mizon Seaweed Jelly Scrub after my nighttime cleanse. My skin felt even smoother, and the night after that, even more grits came out of my face, so I went back to my normal acid schedule. And tonight I reached a tipping point. During my usual oil cleanse, what felt like hundreds and hundreds of grits came popping out of my cheeks all at once. If you’re not familiar with the concept of grits, they’re the little hardened plugs that live inside clogged pores, and getting them out feels amazing. I massaged a little longer than usual and got so many grits out. Now my face feels completely healed and back to normal. No bumps, no flakes, and as smooth as it’s always been. So what did I learn from this extended misadventure? 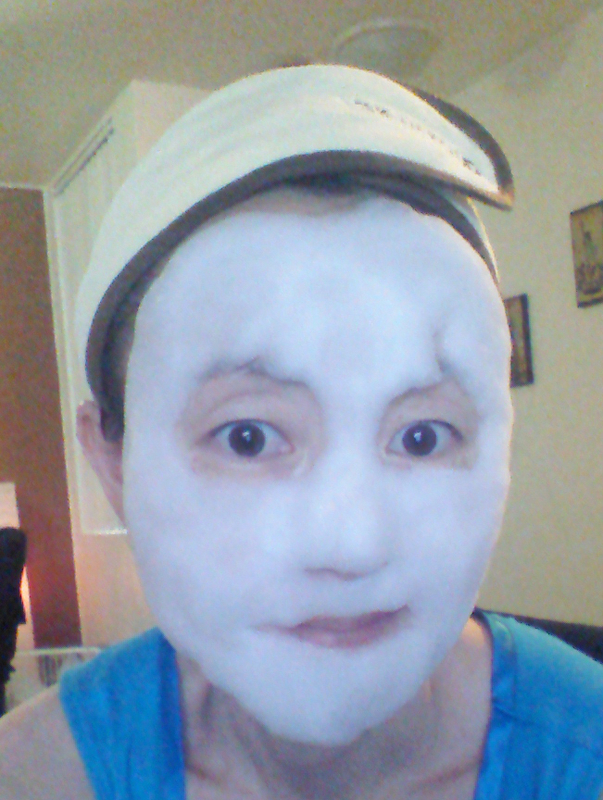 The Su:m37 White Award Bubble Detox mask didn’t overexfoliate my skin, as I’d initially suspected. Instead, the excessive amount that I used and my failure to rinse it all off afterwards allowed it to clog my pores like mad–and that led to my sad, sad bumpy days. In conclusion, this is not a review, because I wouldn’t let my own user error skew my assessment of a product. I am pretty turned off of the product now for purely emotional reasons, so I’m shipping the rest of my samples off to a beauty blogger friend. They’ll go straight from this dollar store storage box to the post office. This is more of a cautionary tale. It seems like a good mask. The bubbling really is fun, and it did brighten and clarify my skin. Just, if you decide to try it out, don’t use too much, and make sure to rinse it all off afterwards! Residue is not good! Also, come back here and tell me how it went for you. I’m not an imbecile like you and won’t screw this up. 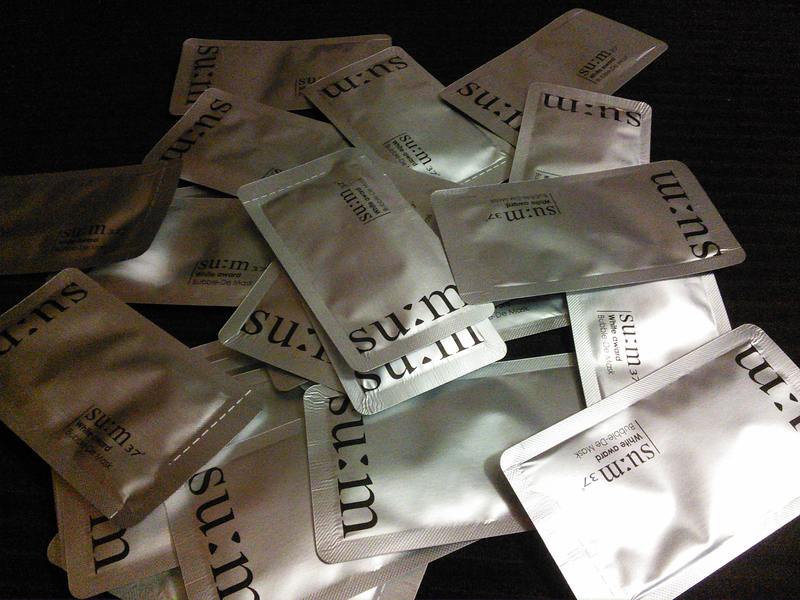 Where can I buy those Su:m37 White Award Bubble Detox Mask samples? Whatever, bro. If you want to try this mask out for yourself without paying that exorbitant full-size price, Amazon currently has the 4ml samples in stock in packs of 20 for $17.95 with Prime two-day shipping (affiliate link). I truly sympathize about the scare with the chemical reaction, and the resultant bumpiness, but I must admit that I fell off the couch laughing at your selfies…they are hilarious!! It probably didn’t help that I was in the middle of a Running Man episode, but you looked like Pororo and it was the cutest thing ever. So please don’t think me mean; you had the most adorable expression on your face in the middle of the cloud and it was just too funny! Hahaha! I know it was funny. I was cracking up at the time, my kid too. Which Running Man? Not the new one with SNSD? Nope, I’m saving that for next…I’m watching the one where Choi Ji Woo (god I love her!) was the guest on the New Year’s special in 2013. I flip between old and new so I always have one to watch. It’s my “relaxing time” and when I do my night time skin care regime. the problem is that I’m always laughing around my sheet masks. I learned that lesson when I watched the Jung Woo Sung double episode. Love the cloud eating face photos! 🙂 I’m actually a fan of the White Award Bubble Detox Mask, but then I’ve never been swallowed by the cloud or had a bad reaction either. I can see how the samples would mislead someone into using too much product. A similar thing actually happened the me with the Su: m37 White Award Enzyme Powder Wash. Even the full-size product comes in little packets, and I used a full one on my face. That ended up to be too much powder that was put on my face before being fully dissolved, and it irritated my sensitive skin and led to redness and breakouts. 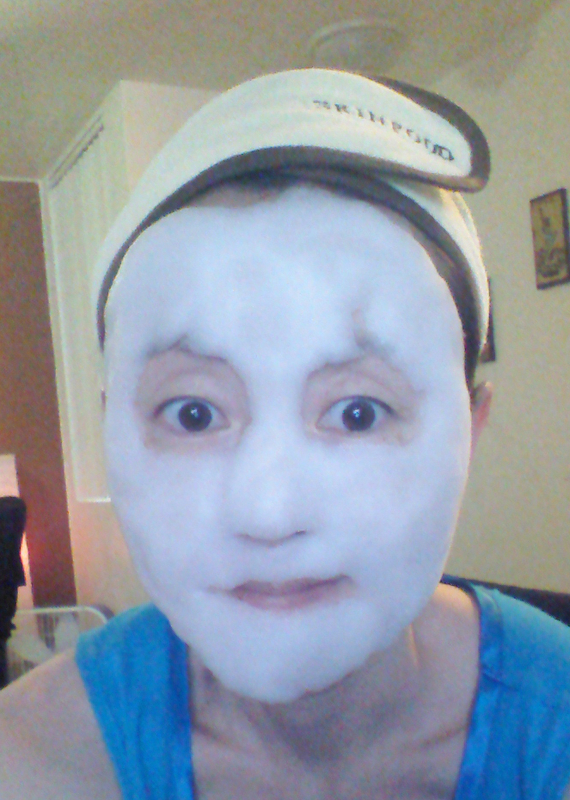 (So in this case, not clogged pores but over exfoliation, as I used my acids right after this.) I’m glad your skin finally is clearing up. Haha, the selfies of your face being consumed by foam clouds were the best! Ooh, this reminds me of the Elizavecca carbonated clay mask. Bubble monster CITY! Thank you for this! I would have done the same as you and used the entire sample packet on my face because who wants to deal with finding a clothespin/binder clip during exciting bubbly times? I have done something similar, with a much more forgiving product, and just ended up overly moisturized, luckily. I’m still going to try this product, but will proceed very cautiously and remember your post if I feel tempted to go YOLO and use the entire sample. I definitely would have done the same and used too much! I haven’t tried these bubbling masks because I am scared of putting stuff that might cause unbearable tickling on my face! Hahaha. If you do get it, please let me know how it works out for you! I know it’s wrong and twisted, but there’s a part of me that wants to do this just to finally experience grit removal! I haven’t been admitted to Grit City yet despite repeated efforts and it’s pretty frustrating, as it sounds SO SATISFYING! I think the sachet is meant for one use. I had one in my last Mask Genie pouch and it did seem like exactly the right amount to me. It covered my face in a good layer and bubbled around the same amount as my much loved Elizavecca bubble mask. I do wonder if you got a fake? I wouldn’t trust Amazon for buying K Beauty myself (but we do get different sellers here in the UK). Having said all this – I didn’t react to mine but on the flip side I also did not see any miraculous results unfortunately. I would try it again but my over all feeling was meh…. Because I can’t remember anything, ever, after ordering 10 of these samples in the morning, I just now decided to look up reviews, and came across this post – again. I am pretty positive that now I won’t forget not to use an entire sample pack at a time. Do you think this can simply be decanted into a little jar? Oooh, I’m not sure. I think that bubbling reaction happens when it’s exposed to the air. Airless pump bottle maybe? Yeah I used the whole sachet in one go but given the large amount, I applied some on my neck as well, never waste good stuff. It makes my face feel so smooth afterwards without any bad reaction. Just need to ensure proper rinsing after use. Totally loved it! I am about to open the first sample pack, and I came back to read this entry again and make sure I don’t victimize my face. O_O Wish me luck! I’m a little confused because on the back of these packets, it says to leave it on for only 5-7minutes yet many blog posts say to leave it on for 15. What’s your take on that? I’d much appreciate to hear your opinion on it. Hi! What was it that helped the grits to come out of your pores? Was it the physical exfoliation, the acids or the oil cleanse?